This mixed six is entirely random. 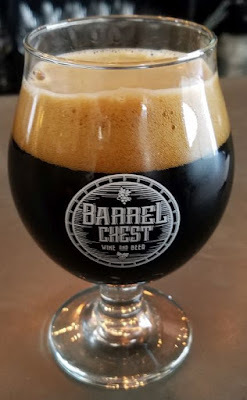 Barrel Chest has been my favorite Roanoke beer store for a few years now. They have a great bottle selection and plenty to choose from on tap, by the glass or for your growler. Just lately they've been brewing their own beers. I've not sampled every one of the house brews, but I've tried several, and I have not yet had a bad one. This one right here is my favorite so far. Entire Double Brunch is an imperial stout aged in maple syrup rye whiskey barrels with coffee, cinnamon, and vanilla beans. Yes, that is a lot to pack into a stout. No, I can't pick up on each distinct flavor. But, damn, this thing amounts to a big, warm, rich, absolutely delicious stout that I would buy regularly if I could. It's only available at the location right now, and they aren't filling growlers, but I'm glad I had a glass during my last visit. This beer is very dark brown with a lot of foam. The aroma is warm and sweet and very inviting. The barrel and the cinnamon are what dominate the aroma and the flavor, in my opinion. But that isn't to say this beer is all barrel or all spice. It folds together into something really unique. Entire Double Brunch would make a great dessert, but it's pleanty big enough to make a meal of. Just remember that the ABV (something like 11% if I remember correctly) might sneak up on you. Petrus Aged Red sour ale is absolutely delicious beer. Just outstanding. It pours copper/brown with a fair amount of foam. The aroma is sweet caramel malt, cherries, and some character from the barrel. The short-hand description is that it kinda smells like Dr. Pepper. 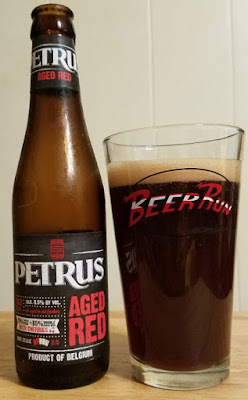 The flavor has the tart cherries and the sweet malt, but the barrel shows up with a lot more clarity. Oak and vanilla add to the complexity. As it warms the tartness becomes stronger, but the 8.5% ABV is never present at all. This goes down like candy. 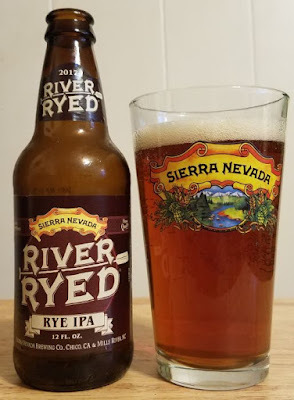 I had hoped that Sierra Nevada River Ryed Rye IPA would be a stealth return of the lamented, long lost Ruthless Rye. It isn’t. It’s not bad, but I can’t help but compare it to Ruthless, and it’s no Ruthless. River Ryed pours a pekoe tea brown, the foam is average. The aroma is an herbal IPA with a very faint rye in the background. The flavor is the same. The rye comes in slightly stronger on the finish, but still in an ultimately understated, sedate way. It’s almost hard to detect, at least in comparison to what I’d hoped for. This is OK. I don’t mind it. I don’t love it. I loved Ruthless, and this ain’t Ruthless. This is ... eh. Not bad. I guess. 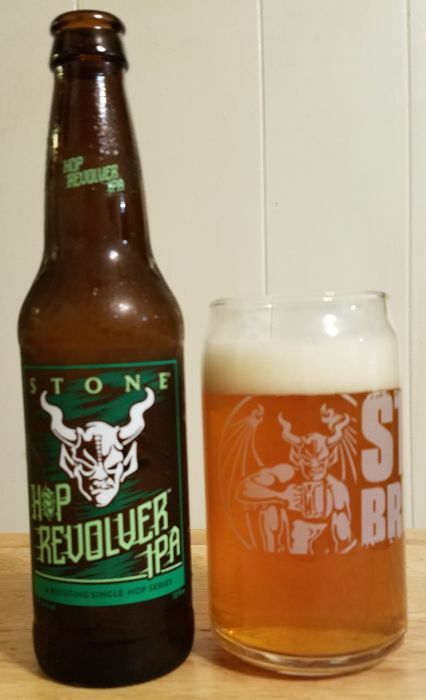 Stone's new Revolver IPA series is apparently going to be a series of showcases for single-hop beers. This bottle is from Series 2, which features mosaic hops. Single hop mosaic beers are a good gateway from pale ales to stronger and more complex IPA. This beer shows off mosaic hops in standard fashion. It pours dark yellow with average head, the aroma is dominated by herbal/floral quality of the hops. The flavor is a mellow malt that finishes with bright, clean hops. Not particularly bitter, not the mouth-stomp of the best Stone IPAs. But not bad at all. 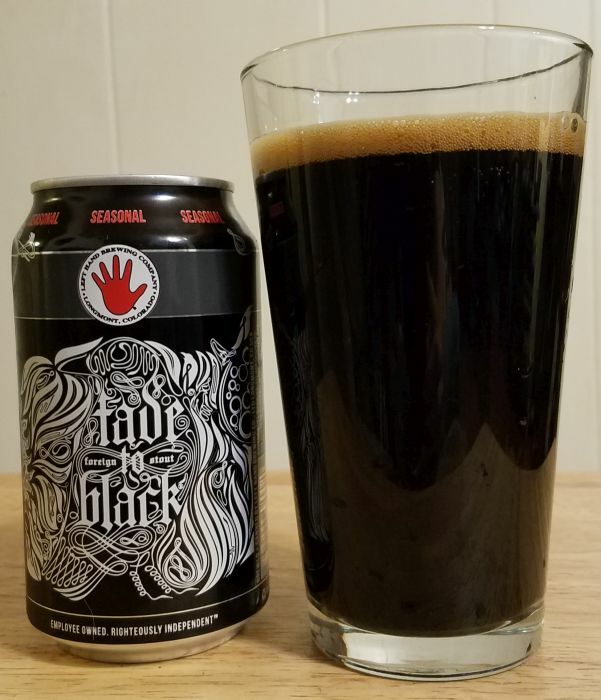 Apparently Left Hand's Fade To Black is another series of beers. 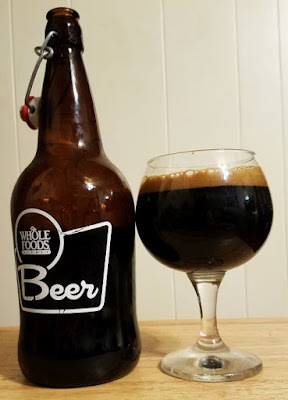 This series is stouts, and the one I had is Volume One, brewed in the foreign stout style. This beer makes a good argument that a solid stout doesn’t need barrel aging, coffee beans, or other ancillary affectations to stand out. It pours black as hell with an average head that fades quickly. The aroma is anise, strong herbal notes, some lemon and molasses. The flavor is really big, very dark roasted malts and some coriander atop everything in the aroma. 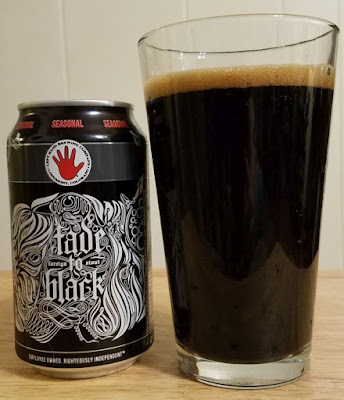 I’m still gonna seek out my barrel aged favorites, but stouts like Fade To Black Volume One are a great reminder that there are wonderful beers that never touch oak. 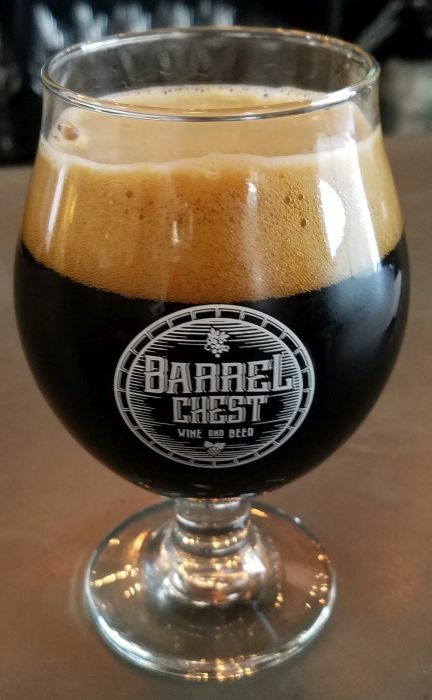 It sounds like a slight, or maybe a back-handed compliment, to say that Deschutes The Abyss Imperial Stout is another good example of a barrel aged imperial stout. But it’s a style that I love when it is done well, and it’s done well here, so my assessment is intended as praise. This beer pours black with a little bit of tan head. There is heavy licorice on the aroma, along with the usual oak/vanilla barrel notes and an herbal quality. The flavor adds some bitter malt/baker’s chocolate stuff to that mix, and it all goes down very smoothly. There is nothing about this that I don’t like.